A year ago or so I saw a YouTube video about chickpea blondies, scribbled down the ingredients and made them. I fully expected chickpea blondies to be everywhere by now but maybe we’ve not hit peak chickpea yet. I can’t even remember which video it was but in any case I have tweaked the ratios and ingredients here a lot. I adore chickpeas. And I love how their water from canned ones has been discovered as a whole new miracle ingredient in itself – aqua faba – to make vegan meringues and mousses. Pulses are so versatile I’d happily eat them daily so it’s been a revelation you can implement them in sweet recipes as well as savoury. The damp pulses paired with oat flour and sticky dried dates negate the need for egg in this recipe. And whilst I’m not saying they’re fat and sugar free, the ratio of coconut oil and sugary date per portion seems less than the butter and refined sugar in a traditional white chocolate blondie. It must be those magic chickpeas padding it out. These chickpea blondies are even easier to make than normal blondies. Whereas normally with blondies and brownies you’d have to melt the chocolate and butter in separate pan to the bowl of dry ingredients, here you simply blitz most of the ingredients together in a food processor. You get a cookie dough style batter from the chickpea mixture. I may have to experiment making bliss balls or cookie dough ice cream with this mix I love it so much! But today it was pressed into a lined baking tin and then gets lots of the coconut and chia organic granola and chocolate chips pressed down on top. And bake. This mix makes enough for 8-12 bars depending how big you want them. Covering the tin with a sheet of foil in the last ten minutes of baking will protect the surface from potential scorching. Now *if* you want to make these healthier still, you could – could mind – skip the chocolate chips. And that would then make this a vegan recipe. But I’ll leave that entirely up to you. 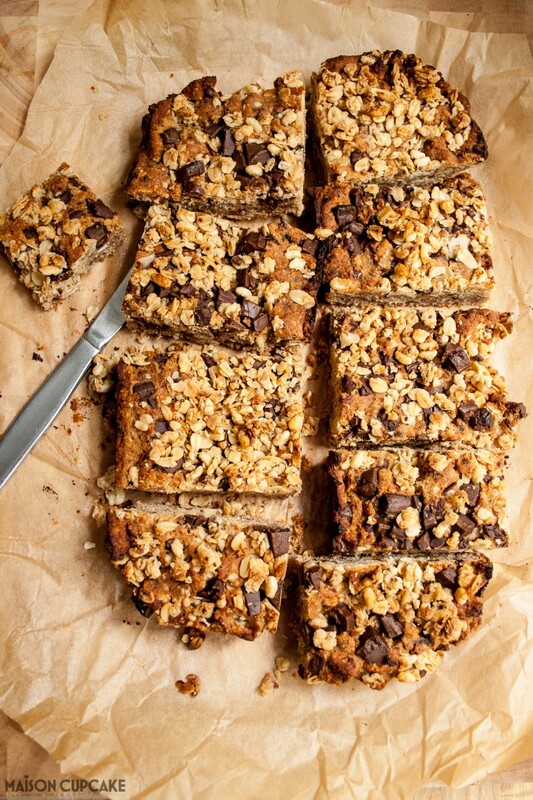 The blondies are topped in a streusel fashion with Nature’s Path organic granola. If you’ve not come across Nature’s Path before they’re a family-run organic food company that believes in “leaving the earth better than we found it.” There are four flavours of organic granola in their range; pumpkin & flax seed, coconut & chia, fruit & nut and honey & almond. Nature’s Path also produce millet rice, granola bars and various gluten free cereals. The new granolas come in two different textures (Nice and Nobbly and Nice and Crumbly!) and don’t need to be saved only for breakfast. I have been snacking on mine in a ramekin in the evenings and the Nature’s Path website has a recipe for crumble with granola amongst other ideas. Have you tried chickpea blondies? These chickpea blondies are wheat free and egg free. Perfect for snacking and lunchboxes. You will need a lined baking tin approx 12cm x 25cm or a 7inch circular cake tin. Preheat the oven to gas 4 / 180c. 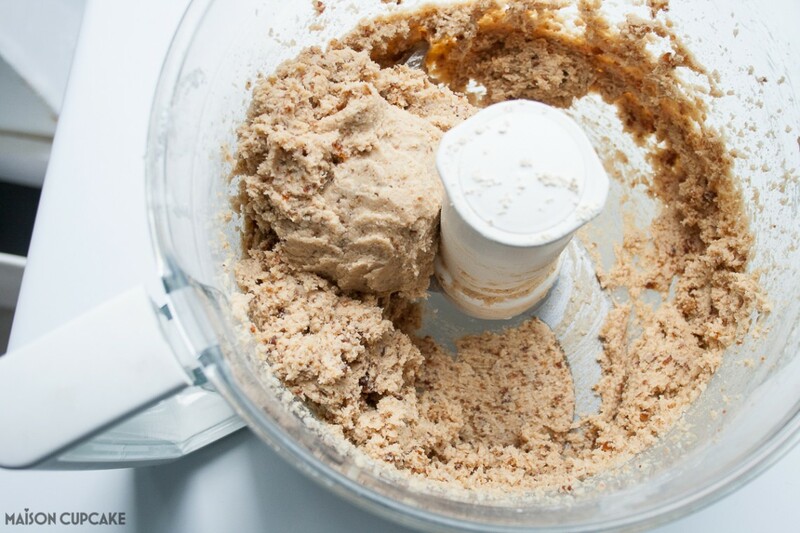 In a food processor, blitz the chickpeas, oat flour, dates, salt, baking powder and vanilla paste until a dough forms. Press the dough down into the lined baking tin. 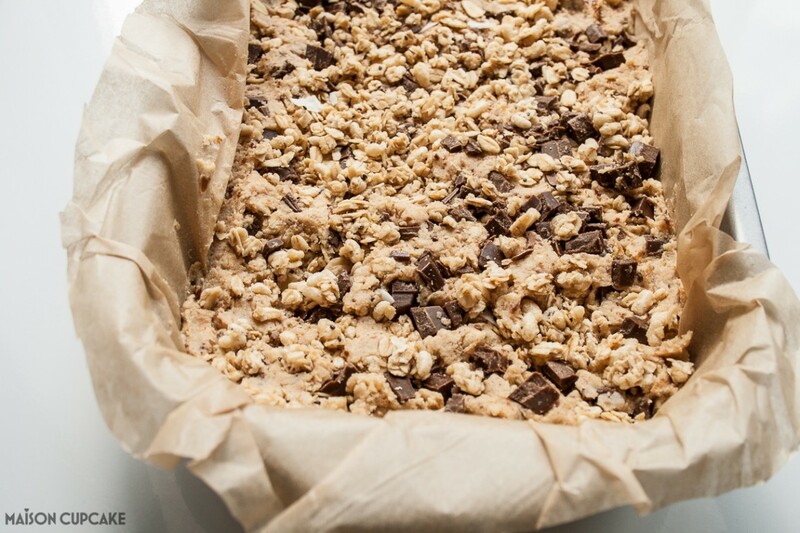 Press the chocolate chips and granola into the surface. Bake for 20-25 minutes. You may wish to cover the blondies with foil halfway through baking to stop them scorching on the top. Although to cool completely before slicing into rectangles. 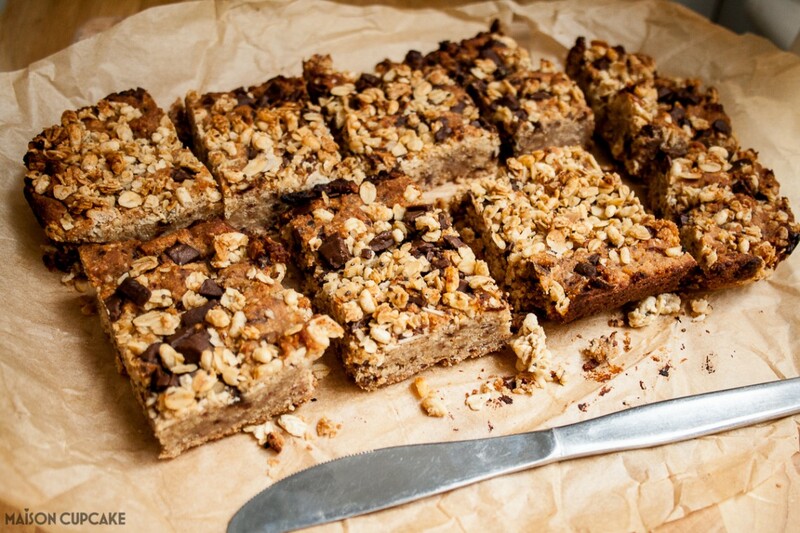 Chickpea blondies with coconut and chia granola recipe post commissioned by Nature’s Path. A great combination of ingredients. Your blondies must taste wonderful. 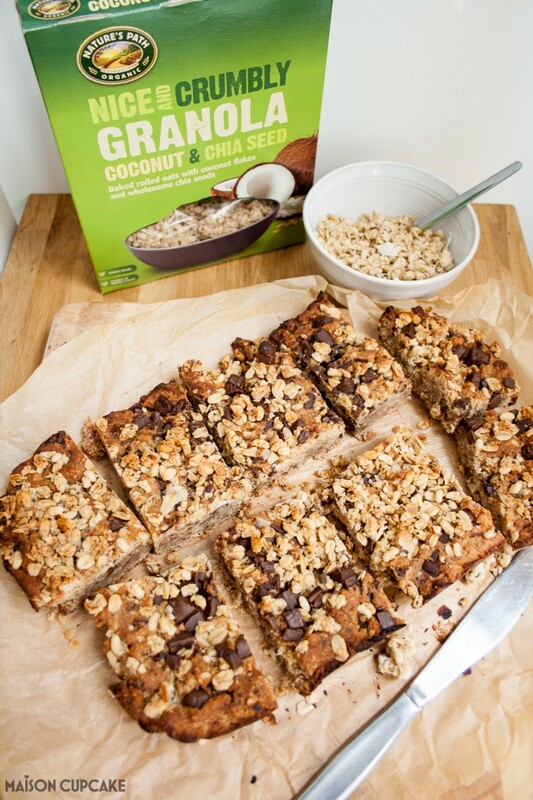 Wow, how goof do they look Sarah, I love the idea of the granola on them too to add a different texture to them. I’ve also tried beans in brownies too ( I used a black bean) and it amazes me that they can’t be deteced in the eat. 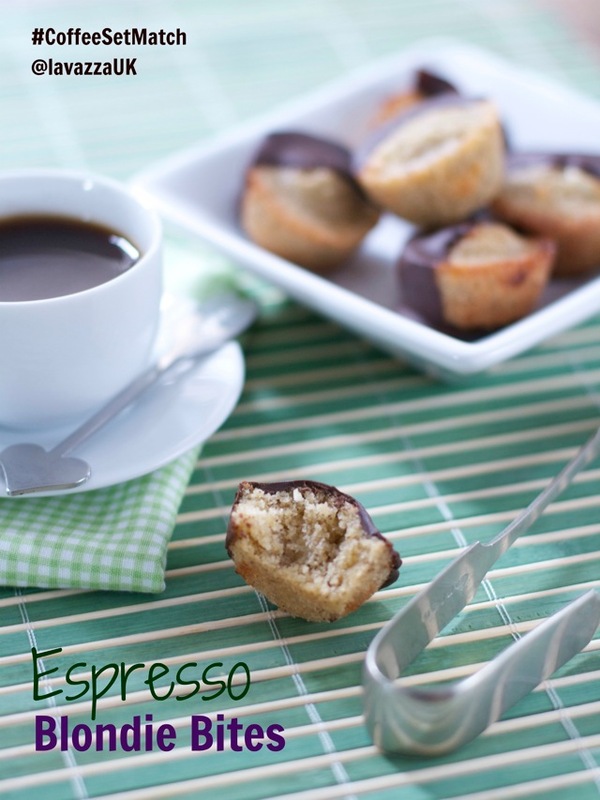 These look delish – def giving them a try! 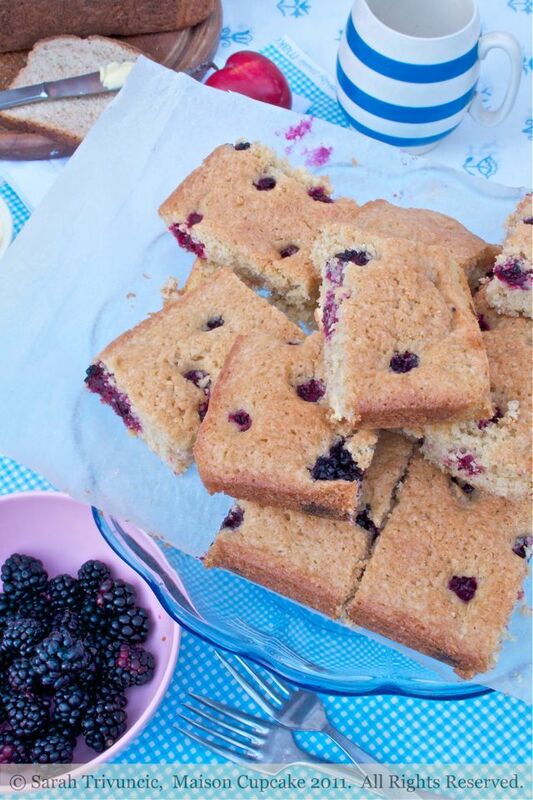 Healthy blondies!!! I must try these, how clever!